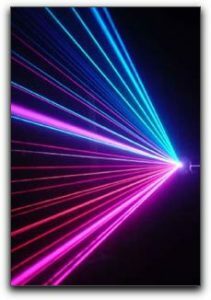 Lasers may sound like something that belongs only in spy novels or in the far future, along with space travel and aliens. The truth is that we live in a highly advanced society already (though we are unaware of the presence of any aliens). 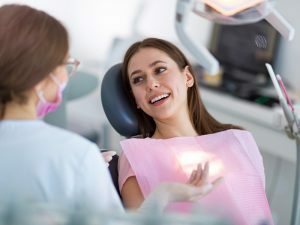 In fact, technology has come such a long way, and so quickly, that lasers are a safe, easy-to-use tool that many dentists take advantage of for everyday treatment. Lasers are great for soft-tissue surgeries for a number of reasons. For one thing, it’s very easy to pinpoint a precise location with a laser. Not only does this make the operation much more accurate and precise, but it limits the area of effect to a much smaller space. In the same vein as the limited area, lasers also cause limited tissue disruption. This means less pain, less swelling, and less healing time afterward. One of the most common uses for a dental laser is in the treatment of periodontal disease. 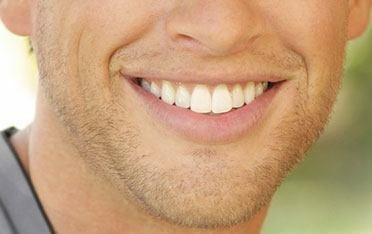 The leading cause of any gum disease is insufficient oral hygiene. 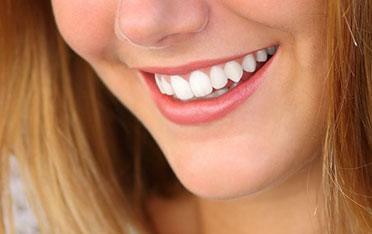 The lack of brushing and flossing allows a biofilm of plaque bacteria to build up. Over time, this plaque hardens into tartar, which irritates the gums, causing them to bleed, swell, and recede. Tartar cannot be removed at home. It also, very inconveniently, makes the perfect settling space for further plaque, and thus further tartar. The only way to allow the gums to properly heal is to clean out this tartar. When a deep cleaning is necessary, lasers can be extremely helpful for all of the same reasons that they’re great for surgery: Pinpoint precision, minimal tissue disruption, and quick healing. For treatment that uses the most up-to-date technology and professional care, give us a call at Distinctive Dental Services.